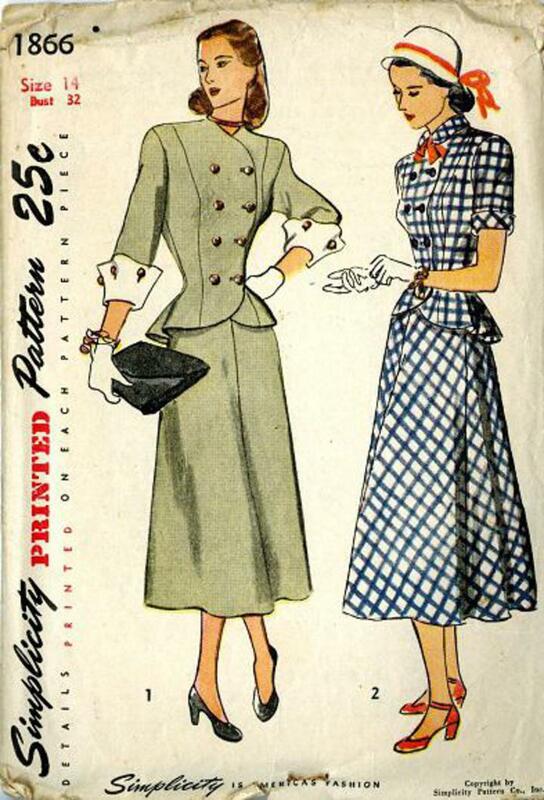 1947 Simplicity #1866 vintage sewing pattern, misses' two-piece dress. 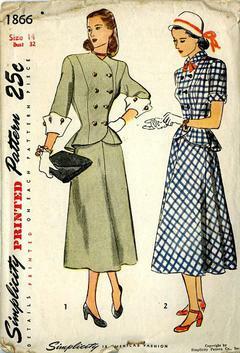 The top is styled with princess lines which flare below the waistline. A double row of buttons makes a smart front closing. The skirt, cut in four sections, falls in an easy flare with fullness centered in back.